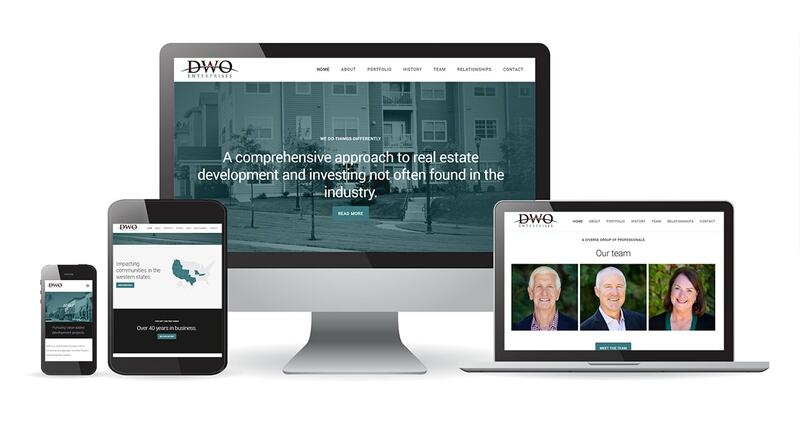 What does a well-established real estate development and investing firm with decades of proven success need in a website? First, it needs to showcase the depth of their experience and reassure prospective clients that the company isn't exactly a newcomer to the industry. It needs to explain their approach and highlight their more than $1 billion in completed projects. Their website also needs to be clean and professional, seamless across all devices, and stand out from the $50 website templates that dominate the marketplace. We built a relatively small and simple website that features an easy-to-maintain portfolio containing hundreds of completed projects. Clear project categories help visitors effortlessly browse the portfolio, and make it easy for them to see how much DWO has accomplished since their founding more than 40 years ago--everything from FedEx buildings to restaurants, shopping malls, commercial facilities, and just about everything in between.